Heartgard gives protection against deadly heartworm, it also protects from hookworm and roundworm. Heartgard Chewables Plus is to be administered once a month to keep your standard sized dog from suffering the terrible effects of an unwanted parasitic invasion. So simultaneously keep your middling mutt happy and well fed with Heartgard Chewables Plus Blue. Does not prevent Tapeworms or whipworms. These are actually name brand? Yes you will receive actual Heartgard not a generic brand. Am I register for heartworm treatment. I am going to buy a packet now. I think that your prices are unique! Thanks, always aiming to please our loyal customers! 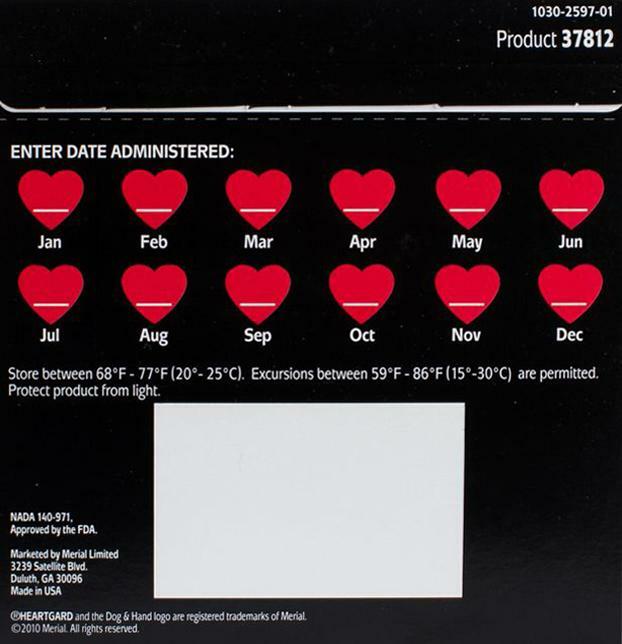 I want to purchase Heartgard Plus for 26 - 50 lb dog, but will request Auto delivery every 6 months. Do you have any time limit for how long I have to continue and how about price stay as same price? You can cancel any time and your next delivery will be stopped as long as it's before the regular shipment date. The price should stay the same as it always has, although we will notify you if there was ever to be a change. is it o.k. to administer Heart Guard and Trifexis together? Unfortunately we are unable to provide the answer to this question since it can be possible for different animals to react in different way's outside of normal applications and dosages. I suggest consulting your vet to make sure. Outside of this, it is common for some pets to have both treatments at once. Product works great and my dog loves it. Great products and are received sooner than expected! Good products with great prices. Fast shipping. I will definitely keep buying from petbucket in the future. Very pleased with service, product, and shipping. Arrived much quicker that anticipated.